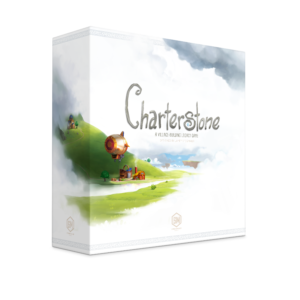 Charterstone is now available from retailers worldwide! You can also join the conversation and ask questions on the Charterstone Facebook group (or read through the Archive of design diary entries) and on BoardGameGeek. Realistic resource tokens can be purchased for Charterstone from Top Shelf Gamer. OOH, What’s this now? Good player count, village/city building theme, and some legacy mechanics(the possible weak point IMO)? Though most of the Tuscany ones are good additions, so hoping for something a bit more like that than a “one and done” game. Charterstone isn’t one and done. I’m throwing my money at the screen, but nothing is happening. Take my money already Jamey. Hmm funny…I tried the same thing Troy…didn’t work for me either. Even tried credit cards. I threw a bitcoin but it only cracked my phone screen. Man I had to break into Jamies bank to place my money. still didn’t work. Would be interested in being a blind play tester. I am an registered as an ambassador. I’ve got a group that would be interested in playtesting this, too. I too am a registered ambassador and would be very grateful to be a playtester! This game sounds awesome, and would be my first foray into a Legacy game! Any reason you haven’t tried Pandemic:Legacy yet? It was one of the best experiences our group has had in boardgaming. I am thrilled to see this! I love Euro-style games and my wife loves city builders, am we are both big fans of Viticulture/Tuscany (top 10 game for us) and my primary game group is running through Pandemic Legacy now (August). While I wait patiently for my copy of Scythe I believe you may have just raised my expectations to the next level! Signed up for the Ambassador program and keeping my fingers crossed that our group can be blind playtesters. I really appreciate that you all are open to blind playtesting Charterstone! Thank you. I’ll be in touch when we get to that point. I would be willing to bump off one of these other potential playtesters so that I can have their spot. That sounds like a mod of Coup…. Will this be a Kickstarter funded game? Maybe! I don’t know yet. I have signed up for an ambassador. Would love to give this a playtest with my group! I’m not sure if the ‘one and done’ comment answered this, but will there be permanent changes to the game (like stickers on a board) or will this be a legacy style game that could be wiped clean and rebuilt from day 1? To me, the fact people have hidden abilities makes me think we’d be able to wipe the game and start over for a totally different chain of experiences. Each building you construct is a sticker you permanently place on the board. As noted in the description, Charterstone isn’t a “one and done” game. The village you create will remain infinitely replayable. This looks awesome! One thing I’d add to the conversation is that I’d prefer the stickers are very sticky. My one complaint after playing Pandemic Legacy is that the stickers would come off quite easily and it ended up that we would take a picture of our board after we played just in case something came off. If it’s gonna be literally permanent and replayable after the campaign, then I want those stickers to never come off. Garrison: That’s a great point! The stickers we’ve tested have been very sticky, but I’ll make sure to keep an eye on that. We are making sure that the stickers on the board don’t overlap with the folds on the board (so you can fold up the board without issues). The fact that none of the stickers overlaps the folds of the board is a huge relief. I worried about this when I bought the game. So glad everything about the game was so well thought through. I’m finding many of the stickers are misaligned…meaning you may not see what the costs are for that building…any one else seeing this as well?? Dave: I’ve heard from 2 people who had a few cards that were miscut to the point that they couldn’t see the icons/numbers on the building stickers. So it’s rare, but possible. If that’s the case with your copy, just fill out the replacement parts form with the cards you need replaced, and we’ll send them to you ASAP. What about pre-orders if it’s not on kickstarter? Oh, and slapped up a BGG News write up on the Secret Cabal forums for you. Can’t wait! Thanks Nick! We don’t know the release plan yet, but I’m sure we’ll do some sort of pre-order campaign for Charterstone (most likely on Kickstarter). 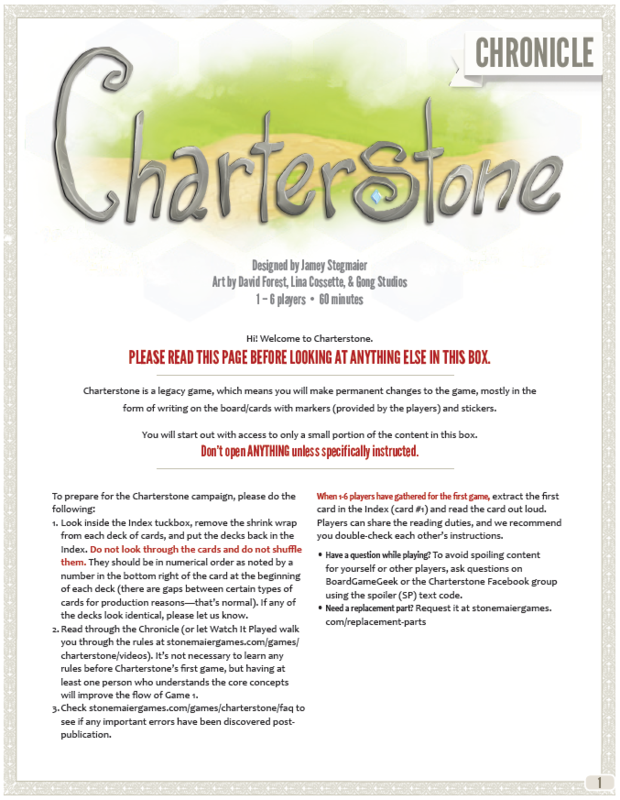 Update: Charterstone will go directly into distribution with no pre-order or Kickstarter from Stonemaier Games. Jamey, stickers on the board is a dealbreaker for me no matter that the game is still playable after the first campaign. I do have an idea for an option to replace sticker use. 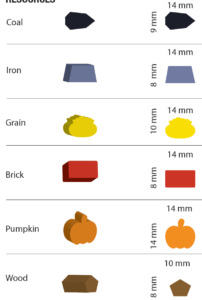 Use tiles or small cards for the buildings as in Lords of Waterdeep and include a photocopiable map sheet for bulding placement for campaign use. You could even make the game board double-sided with one side for sticker use and the other for tile use. As an option for advanced gameplay the rules could include examples of tile placement. Thanks for the idea! Unfortunately, it would cause a huge amount of frustration to people during setup and cleanup. You could do that for a game like Lords of Waterdeep that only ends up with a handful of buildings, but in Charterstone you have 54 different spots for buildings on the board and another 8 per player mat. I appreciate that stickers aren’t for you, but this is a situation where it’s better for me to lose a customer than to add a huge amount of unnecessary frustration to those who choose to buy Charterstone. They make reusable stickers. It would be nice if game publishers would use them. I’d think they’d satisfy the needs of both camps. Mark: True, but there are reasons we don’t use reusable stickers. I’ve talked with Panda about stickers that can be removed, but there are a few issues with stickers like that. 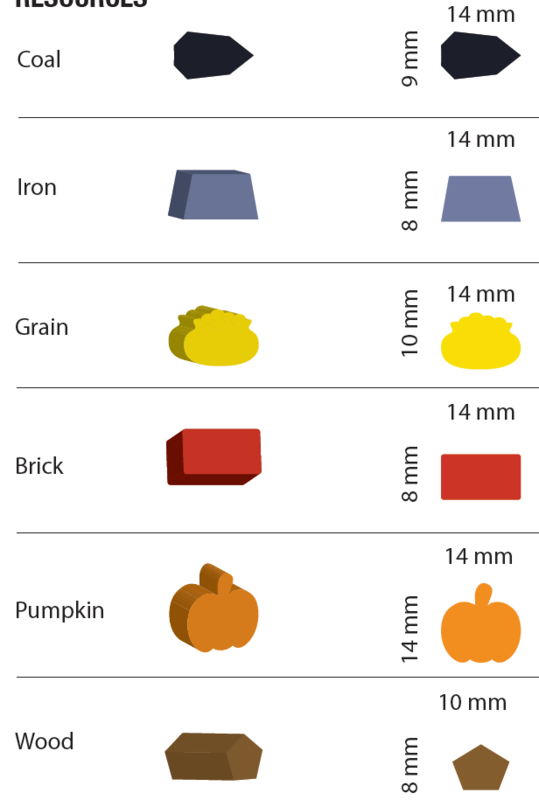 The first is that they tend to curl up at the edges, which doesn’t look good and can catch on other components. The second is that the stickers don’t restick well when applied to something the second time. And the third is the sheer laboriousness of reapplying 200+ stickers to cards and then resorting those cards back into the proper tuckboxes. what about the stickers made of thin flexible magnets? Like the ones, sometimes found on the fridges. They are more expensive than paper stickers, though. Vladimir: The stickers start on cards, so magnets aren’t an option (or, perhaps they are, but it would be incredibly expensive to make). How about thin flexible plastic or vinyl “sticker” that can adhere to the surface of a glossy board (in the same way that window clings work) so that they can be left in place OR they can be removed and be infinitely reused & repositioned…? Best of both worlds! Thanks for the idea! We looked into that a few months ago and learned that the stickers were likely to peel off if we did that. Also, Charterstone is meant to continue to be played after the campaign is over–the permanence is a huge part of the game. Also, the stickers start on cards that must be shuffled, so even if vinyl stickers worked on the board, you wouldn’t be able to put them back on the cards (which have important information on them). Well you’ve certainly piqued my curiosity! Can people who live outside the US register for playtesting? PS. My husband bought me Scythe for my birthday last week and we’re loving it :) Great work! Thanks Amy! Sure, we welcome playtesters around the world. :) I’m glad to hear you’re enjoying Scythe! Have you considered the card-crafting technique that AEG uses? Mystic Vale was their first to use is. Danny: Yes, I have Mystic Vale. It doesn’t work for Charterstone, but it’s a neat system! Ok Jamey. 100 building spots in a six player game, 200+ buildings, 20+ tuck boxes with each an advanced rule module for a game round lasting maybe one hour. Tiles whose positions has to noted after each game round. I can see that would be really annoying really fast. Maybe you could do a Charterstone Lite game like Lords of Waterdeep in the future? this game is not for you. do not buy it. I just want to wish you well, Jamey. It pleases me tremendously that YOU are so interested in and eager to work on Legacy mechanisms. They’re certainly among the most interesting and enjoyable elements to come along in gaming since Rob broke the mold a few years ago. They’re SUCH a bear to design and develop that I just want to smother whoever tries it in good graces… and unfortunately, an incredibly loud and entitled minority goes on a whine crusade every time a word starting with “le-” gets mentioned in reference to a tabletop game. I imagine even the Legendary devs took an accidental hail of friendly fire before they got to the “-gendary” part. I’m not sure yet if Charterstone is for me, but I look forward to learning more. Mountains of goodwill to you, sir, for braving the hailstorm of bs involved in doing this. I know you went out of your way to address some of the common criticisms while retaining some of the main creative elements that make us LOVE these games above most others. I hope you can make some of these Grinch’s hearts grow, and know that there are those of us who love you for even attempting it, man. Xenothon: Thanks for the comment, and most importantly, thank you for your openness to the idea! I know legacy games aren’t for everyone, but it’s encouraging for me to hear that you’re curious to learn more before deciding if it is or isn’t for you. Over time I’ll try to reveal enough that it helps people make an informed decision (but without spoiling anything big). It really amazes me how anti legacy some people are. Very few games compare to the excitement that a campaign style game can provide. I completed a campaign of risk legacy, 15 games with a group of friends a couple years ago. Never played it again, but I still have it just for the fact of how good the memories from it are. Vanilla risk isn’t that great of a game compared to what we have available these days, but the legacy version, to me compares to everything else I’ve ever played. I for one look forward to seeing what a game designed to be a legacy game will be like as opposed to games adapted to be one. Jamey can u tell us a bit more about the design team? Who is the lead designer? To a certain extent, I can understand where those people are coming from. There’s the “collector’s aspect of wanting something pristine and perfect in your collection (though, as you said with Risk Legacy, there’s something special about a copy that is uniquely yours too). Also, if people have never tried it, it’s harder for them to be open minded about it. It’s like the first time someone tries sushi–it’s weird and foreign and raw…and then you eat it and actually have an informed opinion about it. I’m the lead designer for Charterstone, and Morten Monrad Pedersen and David Studley will be assisting me with the solo version of it. Xenothon and Jamey: It’s sad when a game that uses a certain theme or game mechanic gets slammed by the anonymous internet skeptics. I’d say it’s disheartening when the “enthusiastic” gamers who could support your new project, or at least wait before passing judgement, are simply taking the easy route and criticizing something before it actually exists. I think that so far I haven’t been as wild about the legacy “rebrandings” as others, but I appreciate the extra work that gets put into designing a legacy game. To develop a completely new design using a legacy/campaign system is a huge task and I wish you well Jamey. Keep doing what you do as it’s always resulted in some really enjoyable and unique games. Brent: “it’s disheartening when the “enthusiastic” gamers who could support your new project, or at least wait before passing judgement, are simply taking the easy route and criticizing something before it actually exists”. Very well said. I couldn’t agree more–not just for my games, but any game. I cannot even express how excited I am by this. I do not have a gaming group and find the idea of legacy mechanics AWESOME, so even the hint that this might work for solo play is amazing. AND to still have a game I could later play with other people at the end of it? I too am attempting to throw money at my screen! I’ve got an idea about the resetable board… Because that is what it is really about… Don’t get fixed to having stickers implementing “resetability” (stickers are made to stick, not to be removed). So, make the board a 2-layer cardboard with the upper layer having punch holes, in which building-tokens can be “snugly” fitted . This would be perfect! Those that really want it to be permanent could always glue the piece into the hole, and those who value the replayability of the whole game would be able to. A great solution that satisfies BOTH camps! But I realized that those “chips” need to have a home on the shufflable cards as well. Imagine shuffling/handling 50+ cards made of double-layered cardboard. you did it again… just when I thought it was safe…. Please, Please give Roberta and I a chance to be a tester. Also she wants to know how to get an extended Tuscany board. She demoed it at Lexicon and realised what a great expansion it was. John: Thanks! I look forward to blind playtesting Charterstone with your help. We’ll probably sell more shirts in August/September. 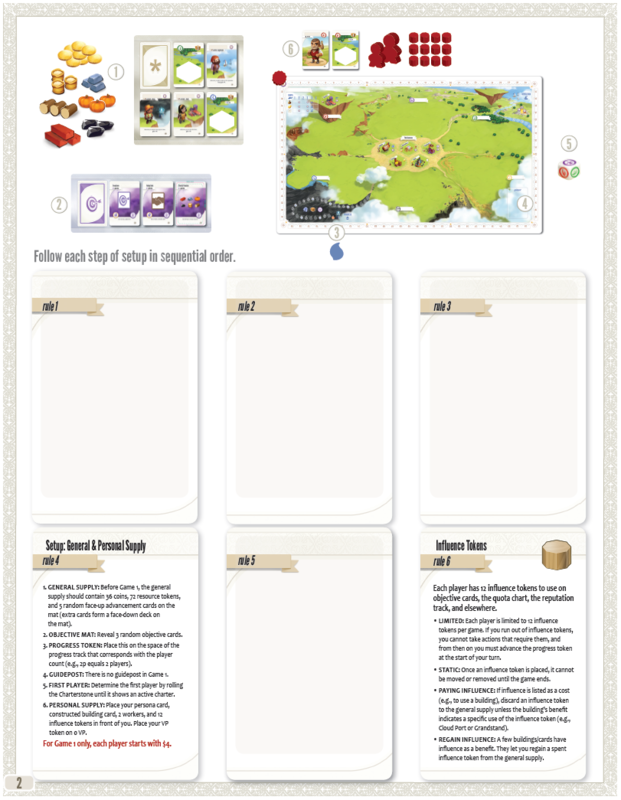 As I’ve been loving Scythe on Tabletopia wondering about the possibilities of a Legacy type game there, where you can leave that game room open and have some way to automate a Reset of the game board that carries over the appropriate changes. Maybe just dreaming a little. That’s an interesting idea. We could consider it, though I’d be really hesitant to make it that easy to access all the spoilers in the game. Absolutely. There is a lot of joy in Legacy games of opening new things, and seeing how they change physically. I mean, just thinking about how you would have to do rule book changes within Tabletopia makes it not really feasible. Just saw an earlier tweet about this game – very excited! Play testing, reviews, publicity, whittling meeples, whatever is required… You have my attention! I’m not big into legacy games in theory but I’m starting to come around to them. I really need to play pandemic legacy and looking forward to Seafall. This is on my watchlist. On a side note I’ve been designing a game that is worker placement. Since your catalog is pretty extensive in that genre is it something you’re still looking for? Or are you in the mindset of diversifying the catalog? A legacy game designed by you will be the only legacy game I buy! Can’t wait. Thanks, Jamey. If a player makes som poor choices and builds some buildings that do not work together well, then forever after any player who has the misfortune of getting that player mat will be at a disadvantage. If you want to play a few games to learn and then start playingt “for real”, you must buy a buy a new copy when you start “real” play. If you have played several times and want to try a new strategy, you must buy a new copy. That may be how some legacy games work, but not Charterstone. I see now that my commentis much more negative than I intended. However, that is still the impression I get from the descriptions of Charterstone I have seen so far. You sir, are a marketing genius. I’m away from following board game stuff online for 6 months or so and this is what you announced while I was gone? I just register to your newsletter to be sure to not miss the kickstarter of this game. You really got me with legacy and the fact you create your own worker placement game when you finish the legacy compaign! I’d love to do a mod on Tabletop Simulator for testing. 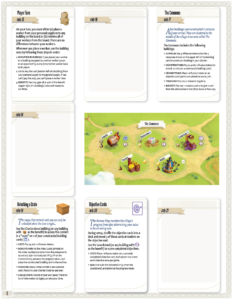 Let’s say player A has a copy of Charterstone that has had all (possible) components added to the board, it is now in its final state. Lets say player B has a copy in similar condition from a different play group. Would there possibly be fundamental differences in the strategies that are successful between the two copies? Or, are we taking minor differences (something like player 2 gets a coin in one copy, player 3 in the other copy), but neither player would be at a disadvantage on the other player’s board? Eric: That’s a good question. I can’t say too much without spoiling stuff, but I’ll express it in a way that I’ve mentioned on a few podcasts: There are a limited number of places for buildings on the board (36 total at this point–the number has changed). But the total number of building options throughout the course of the campaign is nearly triple that number. Each building is unique, though some buildings do similar things. So the fundamental difference from copy to copy really depends on the combination of constructed buildings. Some villages will have very different economies than others. But I wouldn’t say those differences will lead to disadvantages for players if you swapped boards. Jamey, have you considered using a board where the buildings are inserted into slots like puzzle pieces with a good friction fit? Then they would stay put when you put the game away, but if a group stops playing after 2 or 3 games the board could be reset. I’m not sure how much more would need to be tweaked to facilitate a reset, but there are many many people who would appreciate that capability. 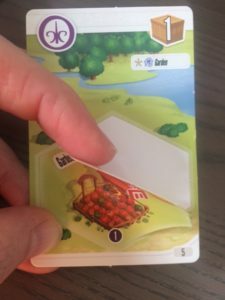 The buildings are stickers that are removed from cards, and both the stickers and the cards serve crucial functions in the game. We’re not looking for workarounds to not make this a legacy game. The primary asset of the game is permanence. I appreciate your creativity, but we do not perceive this to be a problem, so we are not looking for solutions. They exist: They’re called campaign games. :) Legacy requires permanent changes–things that cannot be undone. 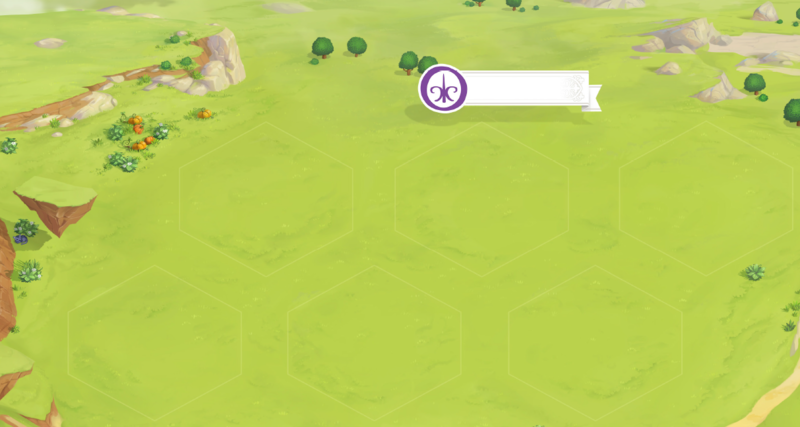 The unique feature of Charterstone is that it’s designed to not just be played until everything is unlocked, but also after that (you’re not limited to a certain number of games). Hello Jamey – Congrats on Scythe! I would love to be a playtester for this one and think I could bring 2 different groups to bear (one more seasoned and another more casual). Jamey, Are you going to update the artwork on this page? At some point when I reveal the box art, yes. It’s tough to reveal more than that, though, because everything in Charterstone is a spoiler. Hey Jamey, my group loves Scythe, and my wife and I are going to eventually need a new copy of Viticulture when we play this one into the ground. Love it! To echo a lot of what people have said already though, we’d love to Blind Play Test. I’ve signed up to ambassador. Bryan: I’m glad to hear you’re enjoying Viticulture and Scythe! I appreciate you signing up as an ambassador. I truly enjoy all your games, esp. Sythe which to back was a no-brainer for me. Now I am very intruiged by Charterstone and I wonder if I, as living in Germany, could also sign up as an ambassador. Will the test-playing only take place in the US? Pasvik: It would be great to have you as an ambassador. As for Charterstone, I’m not quite sure yet. So far I’ve put together the prototype myself and mailed it to developers in the US (it would be expensive to ship to Europe). 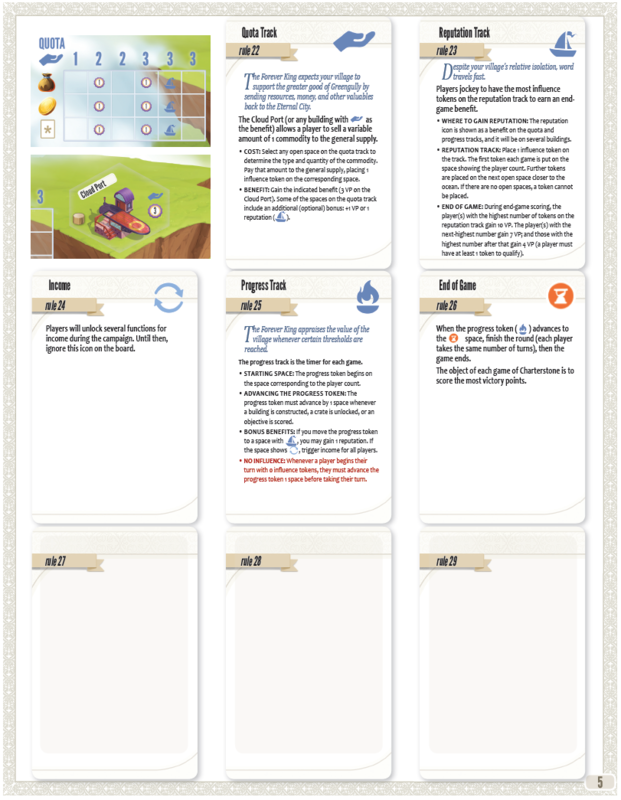 But at some point I might try out a PnP version that playtesters can print and put together. Is there a preorder available? If not, when will it be available to preorder? Thanks for your interest, Andy! We don’t have release information for Charterstone yet. When is this available? Or play testers still needed? Tonight I’ll be playing my first Legacy board game (RISK). But our group has 6 players. So can’t wait for this one. Also the idea of it that it’s not about battles is very appealing. If you are looking for a playtester with minimal experience to gain that perspective, I’m your peep. Middle aged female ready here….Have played Scythe twice with no experience with those types of games. Looking forward to the next game to get hooked on. This was already the most anticipated game for me of 2017, but seeing that cover art and with it the art style of the game and the somewhat whimsical conception of this world with that picnic basket shaped building has somehow upped my interest in the world. Who’s idea was that art direction, yours or one of the three artists credited on the Geek? I’m glad you like it, Stephen! I’ll take some credit and give some credit. :) It was my idea to have buildings that look like the thing they do/make, so that’s the direction I gave to Gong Studios. As for the box, I pictured something with a lot of white (a blank slate for the villagers) and the beginning of a new village, but it was Mr. Cuddington who brought it to life. I love what they did with it. Hey Jamey. Been a big fan of your games since I helped Kickstart Euphoria and I have the deluxo Scythe with expansion and getting the Meeples, etc,etc. Eagerly anticipating Charterstone and was surprised at the number of comments that want your legacy game less legacy-y. One possible and easy way to give people that are shy about this type of game extra incentive to try it might be to make the board double sided, and let people buy a 2nd kit that is just the stickers and extra stuff from this site so that at least they can play it twice. Not sure what that would add to the production cost. Thanks Derrek! That’s actually what we’re polling people about on our future printing request form. 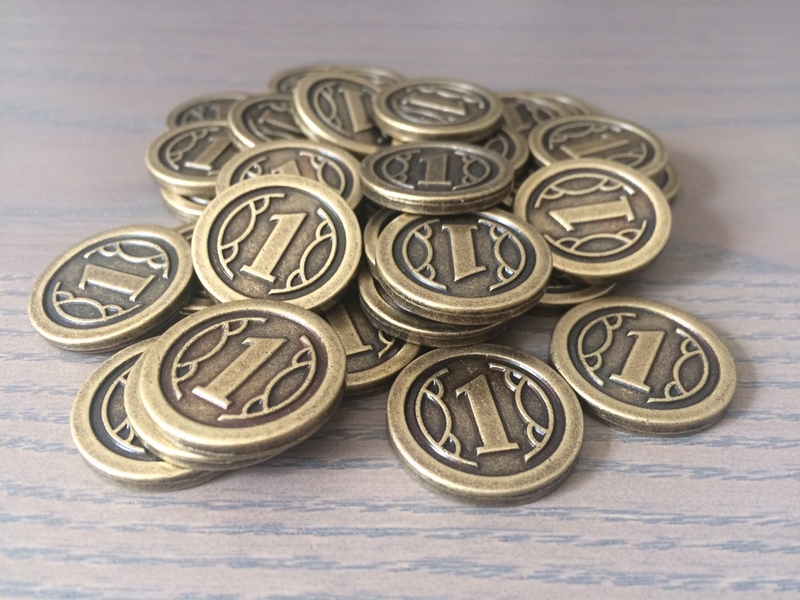 We’re gauging interest for a deluxe pack (separate from the game) that would include some nice stuff like metal coins and a recharge pack for the game to be used on the back side of the board, exactly as you said. :) Currently it does look like there’s enough interest for us to make that pack. Well that’s just awesome! I posted my reply before seeing your reply. I did fill out the future printing request form as well. Just wanted to add that I am aware that the game is infinitely playable after you finish all the games, but for people that want to start again is what I was meaning. And, congratulations on this ambitious project. You are a terrific designer. Can’t wait to see it. Patrick: Sure, I can update that. The reason for that is someone else is maintaining the FAQ for now on that thread, but I can tweak the page on our website so other people can still see the key details. Thanks! Hi Jamey, why not make a campaign game and not a legacy game? A city-building campaign game is really an unexplored branch. Otherwise im very interested on this game and im looking forward its launch, some date for this? Jooor: Charterstone is a legacy game because that’s the type of game it is. 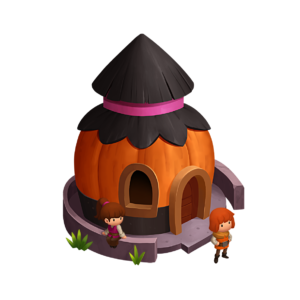 :) To my knowledge, it is the first village-building legacy game. Thanks for your answer and my best wishes for this game. Hey Jamey, big fan, read you’re book and I loved it. Legacy games have really hit a spark with me, its a designer’s dream I think to create one of these games especially this early in the genre’s infancy, a wonderful challenge I’m trying to wrap my head around. Is the story going to be driven by the mechanics or is there going to be a heavy overarching story to engage players? Thanks for your question, Jordan. It is quite a challenge to design, and I wish you luck if you try it! :) In Charterstone, there is both a mechanism-driven story told by the players and an overarching story with interlocking, branching paths selected by the players. I’m very much looking forward to seeing this on the shelves. And of course, do reach out if you for some inexplicable reason can’t find enough playtesters. Soren: I appreciate your excitement for Charterstone! What I’ve decided to do with the recharge pack idea is basically ask people after they finish the Charterstone campaign if they want the recharge pack, and if we get enough responses, we’ll do it. That way people can make a fully informed decision (making the data more precise). Hi Jamey. That sounds like smart thinking. Have you made a decision regarding the component upgrade pack yet, or are you still collecting data on that as well? And thanks for the swift reply. Im really excited for this – I’ve been wanting a good legacy game that is NOT co-operative and not Risk. The “recharge pack” sounds like a great idea. One final key issue – please tell me there is direct player interaction? Salman: There’s indirect player interaction like in most worker-placement games: If I place my worker on a building, you can’t use that building until I move my worker. There are some other aspects of indirect interaction like gaining cards from a common pool. But there is no direct player interaction (stealing from or directly hurting another player). “no rulebook” This sounds like one of the most interesting aspects of the game, and I am very excited to see how it plays. I usually fullyverse myself with a games rules before I take a new game to our group. This sounds like we are going to get to open the big box together. I like the legacy mechanics I have seen in other games so far (though no so much the ones that just add a new rule to each game), and feel like theres a lot of interesting ground to be explored in this space. So pretty excited to see what you come up with. Somehow the visuals make me think of the movie “UP.” Will this game have a ‘cone of shame’? Random question: what is your process on how you pick the name of a game? Could you share alternate names you may have had for viticulture, Scythe, etc. Cody: It depends on the game, but usually it’s a group effort to brainstorm names, then our lawyer does a trademark search to see what we can get. Viticulture was called Trellis early on, Euphoria was called Dystopia, and Charterstone was originally called Cornerstone. Scythe was just called Jakub’s 1920+ series until we got the board game rights, and soon after it was Scythe. Thanks for the response. I’m eagerly awaiting Scythe to come back in stock, hoping to get it by my birthday on Thursday. I eagerly await any game you design or produce. One day I hope to be published by you. Hi, I’m really looking forward for Charterstone to be released. Are there also plans for a german version? Indeed, our German partner is interested in Charterstone, so I think there’s a very good chance of that happening. That would be great :) Thanks for the fast answer. will there be a european-friendly pre order as well? Any store anywhere in the world can carry the game. 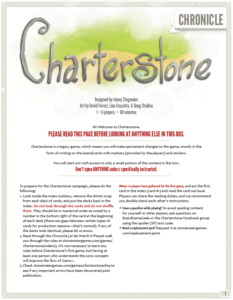 So if you have a retailer in Europe you like, ask them to take pre-orders for Charterstone. With the multitude ways of ‘discovering’ as you play through this game, will there be unused crates and\or cards at the end of the legacy experience with this game? Or will everything included be integrated into the game somehow? JayC: 90% of the crates have the potential to be opened during and after the campaign. There are certain points in the story (1 per game of the campaign) where a player will make a key decision between A and B. When that happens, one of those crates will be unlocked, and the other will remain permanently unlocked. Usually it’s a contradictory variation in the rules–it’s not like you’re missing out on B if you choose A. It’s just different. So how will you make sure that it isn’t the same boring engine building every session. I hear you don’t like repetitive games. 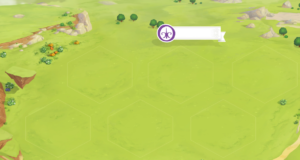 So how will you fix Charterstone here? Maybe add a bigger choose your own adventure part? And for a big campaign game, the content seems really small, are you sure it won’t get to be random repetitive mix and match with just ~350 cards? YoBro: That’s correct, if I’m playing completely different scenarios of a game, I want them to feel distinctly different. Charterstone is kind of in that vein. It’s a 12-game campaign followed by infinite non-scenario gameplay (like any other worker-placement game). Each scenario builds on the last, and a number of elements contribute to each one feeling different. “Maybe add a bigger choose your own adventure part?” –Bigger than what? :) You haven’t played Charterstone, right? Players have a sprawling tech tree of options to choose from as they build their charters, and the end of every game gives players a key choice to make that changes the next game or the permanent game rules. “the content seems really small” It’s all relative. Just yesterday my publisher mentioned that we’re putting more in the box at the price point of $70 for other games that add up to nearly double to the cost. 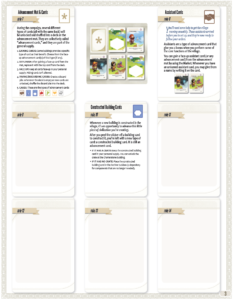 I think you might have a picture in your head of what Charterstone is (maybe you think we just deal out cards to players each game? )…whatever it is you’re picturing, it’s not that. I know it’s not fair for me to say that without describing what the game is, but I can’t without spoiling it, and the description on this page should give you a taste of what it is. If you’re actually interested in Charterstone, just watch a review when they’re available and you’ll understand it better. That has to be one of the ‘nicest’ beat-downs I’ve seen in response to a spiteful (‘How will you fix Charterstone’) query. Well played, Jamey! 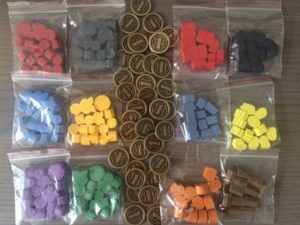 Zatu Games in the UK is taking pre-orders. Is this legit? Marc: Yes, retailers have the MSRP and the SKU, so any retailer can accept pre-orders. Just make sure they include the important details that the game’s development is still in progress and that the exact release date is unknown. Now that IS intriguing! Is it going to have a lot of miniatures? Please say blimps! Please say blimps! So still haven’t made any progress on that time machine then…oh well I guess I can wait for the old fashioned way. 2. ” It was my idea to have buildings that look like the thing they do/make,” YES, PLEASE! I love this quality to Above and Below’s buildings – it adds to that game’s world-building feel. 3. “What I’ve decided to do with the recharge pack idea is ……if we get enough responses, we’ll do it….” Sounds like a great idea to wait and a great idea to make it available. If nothing else, those of us who love the game may feel it would be fun to do the back as a solo experience! Thanks, Mizuotoko! 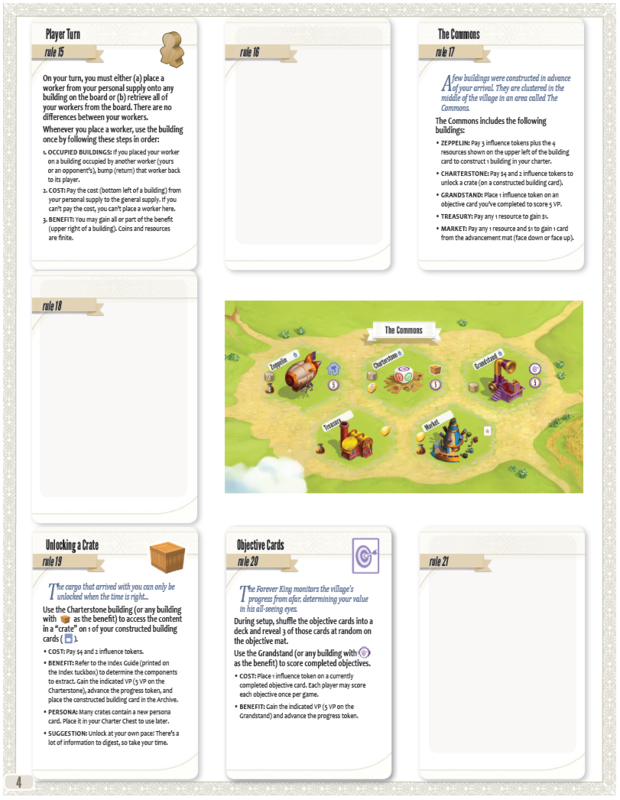 I’ve had a great time writing the story elements of Charterstone (while still leaving space for players to tell the story of their charters). I **am** hoping that there will be a unique world feel to the design of the game that will show in the names of the buildings and the materials and things we will be building that will to some extent feel different from the standard goods and buildings of normal Earth-bound games (Catan, Castles of Burgundy, etc.) That’s why the idea that there may be zeppelins to build or fly appeals to me, as an example. This isn’t strictly necessary for me to enjoy the game, but it would be a +3 for me if it’s designed this way. This games sounds exciting. I have a group of friends that regularly get together to play board games. We have never played a legacy game. Do you think this game is a good place to start with a legacy game. If not which game do you recommend we start with? Heather: I’m a bit biased, but yes, I think Charterstone is a great place to start, as it starts off so simple and adds complexity over time. That said, there are other fantastic legacy games out there. If your group enjoys cooperative games, Pandemic Legacy is awesome. If your group enjoys competitive interaction, try out Risk Legacy. Both of those are nice entries into legacy because most people know how to play Pandemic and Risk (that’s the starting point for each of those games). Thanks so much for the quick response. When do you hope to release Charterstone? I hope to release it by the end of 2017. 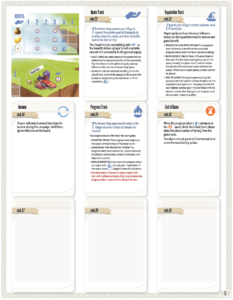 Super interested in being a playtester of Charterstone, if you’re still looking for such. I’m registered as an ambassador. Any chance of copies at gencon?? Mayyyybe. We’ll see. It’s going to be really tight. At best we’ll air freight some in. That would be great, but we haven’t even finished typesetting the game yet. It won’t be released until October at best. My husband is so excited about this game. He can not stop talking about it. We just love viticulture. I’m sure we will. It sounds so unique. Do I have to pre-order it? Or will it be available to buy after it is released? Bianca: We’re making plenty of copies, so there should be ample copies available post release. Sascha: Thanks for you questions. You can see retailers in Germany/Europe that carry our realistic resources here. Charterstone will be released in German by Feuerland in late 2017. Christopher: Absolutely! We sell out games to a number of distributors in Europe, including several that serve Sweden. So you’ll be able to buy it from a store in Sweden. I am on the edge of my chair for news about this one. Thanks for keeping us all in the loop, even about your recent challenges. I personally am excited for this game, however, personally, Im not such a fan of the cute cartoon art. Not to put down the tamthe as Im sure its been a labor of love and dedication. Just one mans opinion. it is the most expected game to me in 2017. Does there have a rule book to let me know how to play it? It does! We’ll release it as soon as it’s typeset. It’s me, that random Matt guy from the Scythe blog who has stumbled on your new game coming out! I have to say, both this game and Viticulture has caught my eye and I definitely have an interest in potentially getting this game. My question is largely regarding preorders. I understand you’re not using kickstarter. Will there be a preorder opportunity for those who track the game? I’d like to have a chance to preorder something if possible. Thanks, as always for all of your help and being so involved with your fanbase. It’s meaningful to see it. If you click on “preferred retailer” (within the main text), you’ll be taken to a list of hundreds of retailers, all of whom are accepting pre-orders. Thanks. I admit I missed the link. My bad. Is any localisation to french planned ? Will it be ready at release or will it come later like for Scythe ? It will be produced simultaneously to the first English print run. Btw I saw this won’t go to KS, but I was wondering if you are really done with KS or if you might go back someday ? Hi Jamey. This looks so freaking cool. I have two questions (they are quite similar). They’re might be dumb but I´m new to Legacy games. If me and three of my friends start this game and one of them drops out after a while. Would it be a problem to keep going or do we have to start over? Or if we are four players that starts this game and one of them goes away for a while (let´s say that he misses four sessions), would it be possible for him/her to join in again? Christopher: Thanks for your question! One big thing I should mention up front is because of the element of permanence in legacy games, you won’t be able to start over after you begin. Fortunately, even if the player count changes, you can always move forward with the campaign. There’s even an automated element (called Automa) that can represent other players in their absence so they can continue to score points. The best experience will be with the same people for all 12 games, but if someone needs to drop out for a while and then return, you can absolutely do that. Hi, will there be a German Version as well???? Display at Spiel ’17 in Essen? Stonemaier Games won’t be at Essen, but some of our localization partners will likely have Charterstone there. Feuerland is our German partner. Richard: There is an element of Automation that will ensure that inactive charters continue to grow. You can also choose to have Automa represent any number of inactive factions if you want it to feel like you’re competing against more than just one other player. However, each player may not act on behalf of more than one charter–it isn’t possible or necessary. Hi Jamey, I’m eyeing charterstone since last year, i love worker placement game and building village theme, so i’m very excited! I admit, while the very concept of a legacy game gives me a certain amount of anxiety (collector here), this seems like a very interesting take on it. The game being fully and properly functional after the fact alleviates a lot of issues I have with legacy, and the idea of being able to play a second game on the back would be a huge bonus. Scythe is already on my to-buy list, but you’ve definitely got my attention with this, too. Hi. Does anyone knows how many meeple/workers is gonna come ? Only 6 ? 1 of each worker ? Each player gets 1 worker that represents themselves, as well as a smaller worker. So the components in the box is 12 meeples/worker ? 6 bigger + 6 smaller ? There are 36 metal coins, 350+ unique cards, and 230+ wooden tokens in the box. Those 12 worker meeples are among those components. Thanks for all the answers here. We are all going crazy about Charterstone. We can NOT wait for it! Greetings from Brazil ! Hello Jamey ! I really love your work done on this game, but I also loooove the art of it. Can you show us some more by the time ? Adrien: Sure, I’ll continue to reveal what I can in small doses between now and the release. However, pretty much any art I show is a spoiler, so I’ll only be able to show a little bit. I don’t know too much about this game but I’m looking forward to owning a copy. Is Charterstone playable if you play the first few games solo, then play with a group of 2-6 while still building the legacy part of the game? Will the amount of players change the way future games turn out? Thanks Alex! Indeed, you can alter the player count each game as you wish. Every session of the campaign is legacy, though (it’s not like you can play a few non-legacy sessions and then bring people in for the campaign). The player count does impact the game, but it works at all 6 player counts. Doublesided board?? Two Runs – Two sets of stickers? Richard: Yes, there will be a separate recharge pack you can purchase to play the campaign a second time. Not that you were suggesting this, but the recharge pack is far too expensive to include in the core game. cool though- how much will the pack be then? I haven’t announced that yet. How long would you say you design a game until you then start going full steam into production? Cody: It depends on the game. For Charterstone, I started working on the design in December 2015, and we sent the final files to the printer a few weeks ago (end of June 2017). Scythe was in the works for 16 months before going to the printer. Euphoria didn’t take as long–it was about 9 months from start to printer. That’s a pretty fast turn around. I’ve heard games being designed that long before they even get to a publisher. But you have a dedicated development team correct? That would help speed up the process I assume. I’ve noticed that you have an interesting catalogue of games, Worker placement, city building/tile laying, legacy, 4x. Do you have a plan to try and make a game in the big genres? Cody: I think it depends on how you design. When I’m working on a game, I’m pretty much only working on that game. Plus, this is my full-time job. So I may work 20-40 hours just on game design a week. Jamey who was your artist for Charterstone. It’s really charming! Mr Cuddington and Gong Studios. They are great! Will Charlestone be available in French? In Essen? Charterstone will be available in French from Matagot in 2017. I’m not sure if they’ll have it at Essen. Awesome looking game! Any chance we’ll see this at GenCon 2017? Will the game be available in Essen ? Is there a possibility for an Essen pickup if I pre-order it? Matagot in a few weeks. Hello, I would like to know, for me and all the sleevers out there, whats the size of the cards? Thanks. They’re 87×57, though it’s not a sleeve-friendly game because of certain legacy stuff. You could feasibly sleeve it after the campaign is over when you continue to play it–at that point you’ll know how many cards you have. Extremely excited for this. Do you control one character in solo play or do you have to control multiple characters? Thanks! You always control exactly 1 character (you are that character). Hi! For some obscure reason I missed this on Kickstarter. This year I am ending a hiatus on going to Essen and Charterstone just tickles my fancy. Will this (English version) be ready in Essen? astasyneri: You didn’t miss anything–we don’t use Kickstarter anymore. :) Charterstone will be available in limited quantities at Essen (sold through Matagot since Stonemaier won’t be at Essen). I was just curious, so I see that Charterstone will be released in December, but some can get a copy in October. Is it still possible for us to get a copy in October–we live in Idaho. PS: Also, thank you very much for meeting with my wife and I, briefly at your Saturday GEN CON game night, and even signing our Scythe board game. It was a pleasure! Jeremiah: The way to get Charterstone a little early is to go to Germany for Essen Spiel, as one of our partners is air-freighting a few pallets from China to Germany. All other copies are being shipped by ocean freight to various parts of the world, including the US, where the release date is in December. :) I remember meeting you and Kara–thank you so much for stopping by! I’ve greatly enjoyed your prior games an patience in dealing with people who haven’t read your copious, informative and knowledgeable update son kickstarter and the business of game design an publishing. Re Essen: which partner will have Charterhouse? 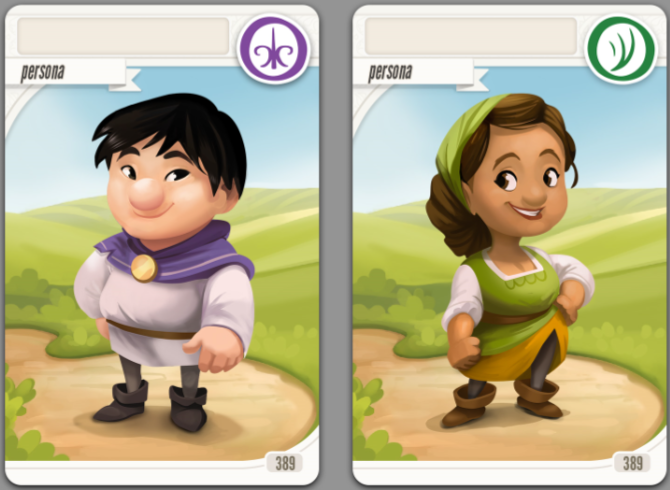 Jan: Matagot and Feuerland will have Charterstone available in limited quantities for Essen pickup (Matagot will have our English games and their French games; Feuerland will have their German games). Both of those companies will offer an Essen pickup pre-order option through their website a few weeks before Essen (Feuerland’s is live). Just a question on content… will Charterstone contain any magic? Charterstone is largely grounded in the real world, though it doesn’t take place in the world as we know it, so certain things that exist in Charterstone’s world will seem foreign to ours. Players are still doing things that are grounded in our world, though–that is, they’re not casting magical spells. I’ve heard from a very small number of people that they are deeply offended by the idea of magic; for those people, I’m sure they’ll find something to be offended by in Charterstone, even if it’s not overtly described as magic in the game. Like, from the very first sentence on this page, it’s noted that Greengully has been ruled for centuries by the Forever King. If the idea of a person living for centuries doesn’t appeal to you, Charterstone won’t either. Thanks Jamey. I`m not offended by magic, I just choose to avoid it. I`m sorry if gave that impression. My wife is saving up for Viticulture and of course wine has its own magic of sorts and so do your games. We do like our Scythe. I`ll stay tuned in for Charterstone reviews, it looks fun. Genius idea on recharge pack. Stephen: I would call it light fantasy in a medieval world with no spell casting by the players. I might be late, but if there is any playtesting that is needed, I would gladly be able to do it. The game looks very interesting and am excited to play it whenever I can! I appreciate that, but you are indeed very late! :) We wrapped up playtesting back in March, and the game is currently wrapping up production. 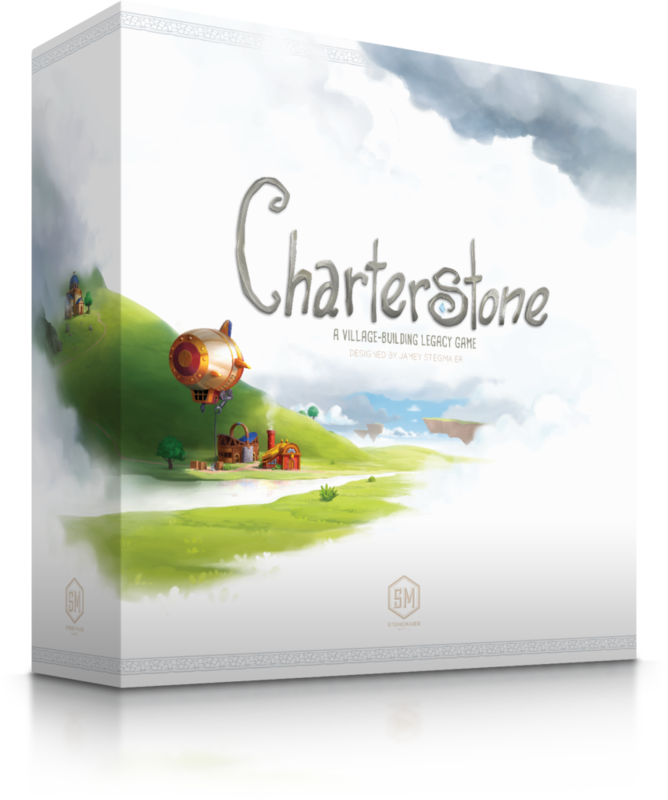 Charterstone will be released via retailers in early December. So many beautiful building in the watch It Play video ! I was already hyped, no I’m impatient to pu my hands on it ! Just curious, Jamey, is the art done by the same illustrator that handled Santorini? I just gave hints to my local retailer that this game is going to be a worldwide smash hit and they should get themselves on the retailer’s list, and pasted the link. Thanks for doing that, Anthony! Will second run include Polish language ? Unfortunately not. We haven’t been able to find a Polish partner for Charterstone despite talking to Phalanx, Granna, and Bard Centrum Gier. In the Watch It Played overview, broski says that in the first edition printing there is a rules error. Is it mentioned anywhere in the board box we will be receiving from retailers soon that this is an error, or will it be corrected on those editions? I’m worried I will get into dumb fights with my friends over the rule of law in the book. Chronicle rulebook, page 4, rule 17: cross out the words “or face up” from the last line (whenever a player gains an advancement card, it’s a face-up card, not a blind-draw from the deck). This is a typo. Now get to bed everybody, it’s late and you need your rest. Thanks Sam! Though I’m glad you wrote this, because for some reason I have some kind of issue with that sentence, because the words that should be removed are “face down or”. You can select one of the face-up cards, not a face-down card from the draw pile. Just finished watching Rahdo’s final thoughts. I was already excited for the game, now Rahdo made me impatient and anxious. Both my wife and I cannot wait for our copy to arrive. Dec is soooo far away. Oh well, I have never seen a Thursday as full as this year. Finding the Matagot booth a bit after lunch-time was way to late apparently. I’ll catch the game when it comes into my FLGS, I guess. The lines for the German version (their booth at least) was impressive, too. Hi, I’ve never played a Legacy game before but I love Scythe, so I’m very interested in another game from you. 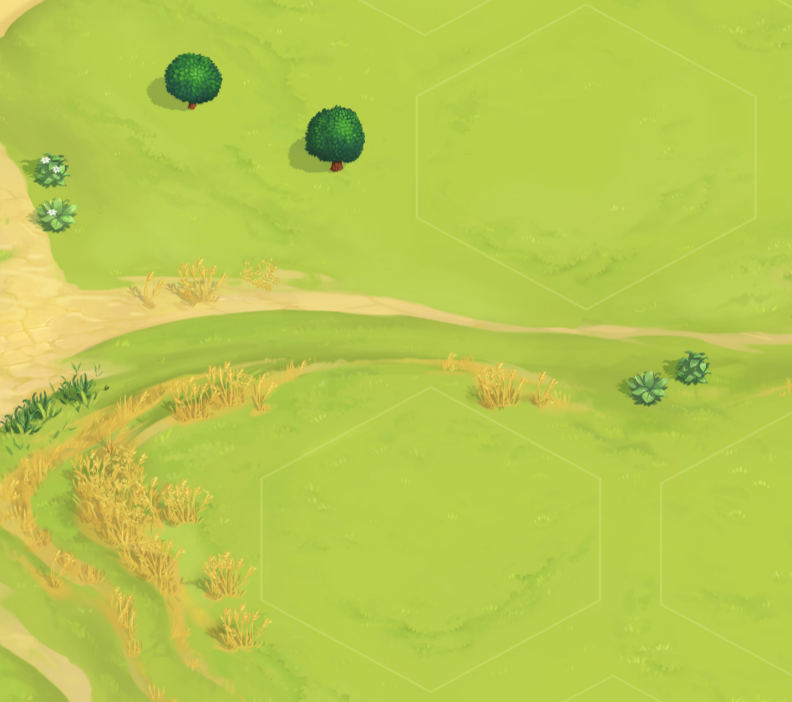 My question is… if I played through the whole of Charterstone as one player, will the resulting game only be playable by one player, or will I be left with a game that can also be played by more players without being unbalanced ? Thanks Joanne! 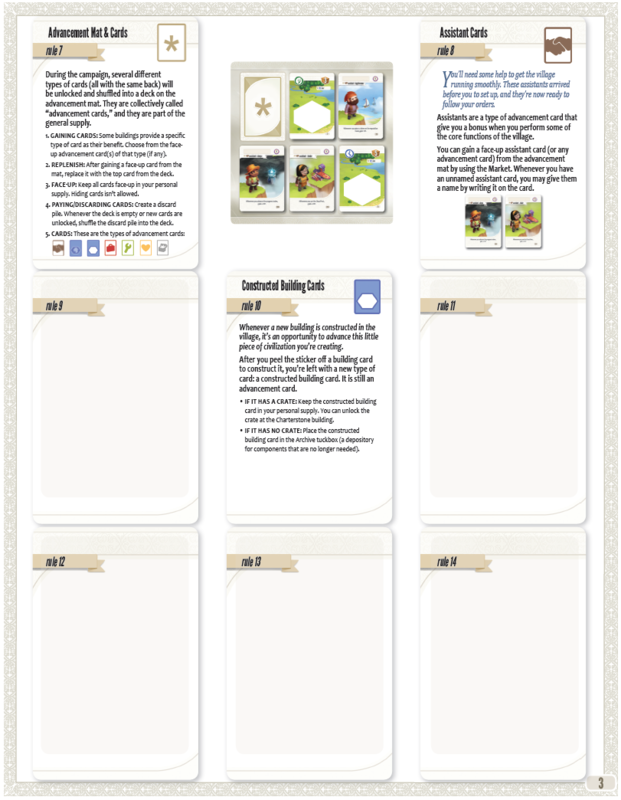 Each game of Charterstone–during the campaign or after the campaign–is playable with any number of players. Because the core mechanism of Charterstone is that you can place a worker on buildings in ANY charter, even if one charter ends up slightly better crafted than the others, it’s not imbalanced. I know you mentioned you won’t be at PAX Unplugged, but will Charterstone be available from a partner? Sorry James! Charterstone is still on a boat, so No one will have it at the convention. Hi Jamey! I realise that Charterstone resources (inc coins) are limited; but read somewhere that there might be a chance to pick up extra sets of these coins. Is this true? And if so, when might that be possible? Have you considered making other denominations too? I love their design and the increased thickness will doubtless make them a staple of many other games in need of metal money. Steve: Thanks for asking! Can you let me know where you read that? It’s actually incorrect information–the coins are only available in Charterstone. I’m glad you like the coins, though! Perhaps someday we’ll make more of this type of coins and in other denominations by themselves. Hi Jamey! You have listed Houston’s Asgard Games here in Texas as your local retail partner. They are near my work so I called them and they were kind enough to take my order for Charterstone, but they had no information on ordering the recharge pack. I’m about to order that from an online retailer, but I wonder if you could clarify the availability of that recharge pack for them, as I would rather support my LGS if at all possible. Thank you! Blane: Thanks for the heads up! Distributors should have the recharge pack listed as STM701, but I’ll send that info to Asgard so they’re aware of it. Hi Jamey. Could you advise what font is used for “The Commons” on the board. I want to use a label maker to create the other Charter labels as I wont be able to bring myself to write directly on the board. Thanks. I speak for the French canadian players in Quebec (or in canada in general), I preordered Charterstone in April from Game401 (canada), and they don’t know yet if they’ll be able to have some copy in french. It’s sometimes hard for us to have the games that are delivered in France by Matagot here in Quebec, sometimes we have to wait an other 6 monthes. Do you know more about this? Should I cancel my order and wait for the french version to arrive here, with having no idea of when it’s gona be?. thank you very much! love your games! Hi Julien: I’m only in control of the English version, and I don’t know when the French version will be released. 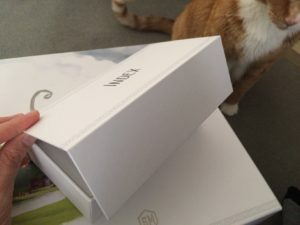 I know that Matagot will soon have it in Europe, but they will still need to ship it to Canada. I’ll talk to them to see if they can give me a date. Julien: I spoke with Matagot, and they said the Canadian release is in mid-December. They said in the last few years, the Canadian release has followed the European release by no more than 1 month. I’ll see if I can get a French Copy in mid december, and cancel my april English pre-order, if the price is reasonnable. Thanks for your answer. Thank you very much! I saw that you put the file for the french version rules, so maybe I’ll print it, and start with that, will you put the Automa’s french file too? I couldn’t find it. Thanks! I’ve only put the main rulebooks online because the Automa rulebook contains spoilers. Oh yes! I forgot I put them there! I don’t know the exact date, but I think Ludofy will have it in the next month! Thank you very much for teaming up with Feuerland Spiele to bring Charterstone in German to us! I really appreciate that since my group has some that are not that fluent in english and its always a little bit of an effort to explain all the text on cards that are in english. And as always, amazing quality, absolutely amazing artwork too, I love it. Thanks Rupert! We’re very fortunate to have such a great partner in Germany. Woo-Hoo!!! Just heard from my favorite game store (Meta-Games in Springfield, MO). They have their copies in, have taken my money, and have a copy with my name on it ready for pickup. Can’t wait to start this with my gaming group. Been looking forward to a legacy game for 6 players. I played 6 times and this game it’s amazing!!!!!!! I’m sorry for my bad english, it’s not technical and I’m not used to talk about board games in English… But I had to leave my personal comment…. This is incredible, one of the best boardgames EVER!!!!!! Anyone want to share his experience in private to avoid any spoiler? I’m Italian and I can’t find anyone who played half game…. Please let me know!! Thank you and Congrats for this gorgeous experience!!!! Thanks Jamey! just did it! I love this and wish I could play on the go! Make it an app and I’ll buy it full price! Love it love it love it! How many copies is too many? Just picked up my third. Should I stop there? I must say that you have given me quite a bit of prototyping components in the main box such that I don’t plan on buying recharge kits. The meeples and resources are great. 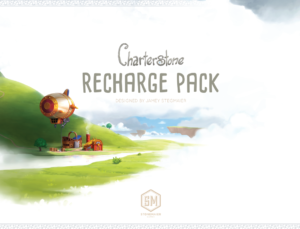 The recharge pack shouldn’t have been called “Charterstone Recharge Pack”. It should have been “Rechargerstone”. If you play a round with someone then later want to play again with more people will they be lost because the game isn’t being started at the beginning?? Can you even do that play once with someone and then play again with other people or is it like once you start with someone you can only pick up where you left of? What do you do after playing all 12 campaigns? Heath: That is one of the reasons I recommend playing with the same people from start to finish–you have to learn more rules if you jump into the middle of the campaign. But it is possible (see the first page of the rules). As for after the campaign, it will be a little overwhelming for someone who never played to give it a try, but experienced gamers shouldn’t have a problem. And to think I have all this to say and haven’t even played it yet. :) Thank you for another great board to add to my ever growing collection. Bekah: Thanks for your note! We were hoping to instill this sense of delight when you open Charterstone. 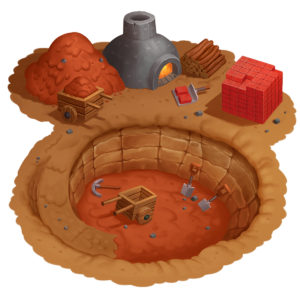 :) Also, one of the reasons we included metal coins in the game is related to something you said–even if you stop playing Charterstone at some point, you still have something useful you can use in other games. This is our new favorite game by far. We’ve played 1-2 games per day since opening it a few days ago. Every game has an element of surprise. The fact that you designed a game that gets better each time you play it just blows my mind. YOU ARE A GENIUS. 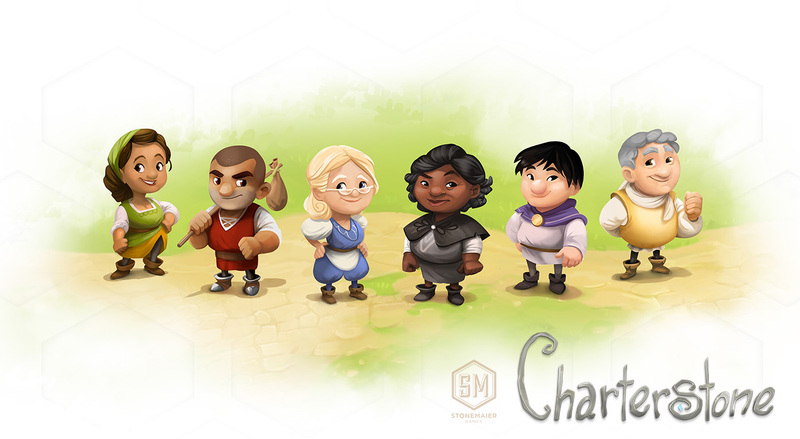 We just finnished the campaign of Charterstone. This was one epic jorney and every game was simply amazing. As well as the different strategies that unfolded with each new additon and new game. I do have to say that the combination of parfumery and alchemist is simply crazy strong. On one of those days we just couldnt stop and played 3 games. Thank you very much for getting us such a lovley game and I am really looking forward to play the finnished version with a 6 player group soon. The one and only thing I will miss after completing story is opening chests, I think for my whole group it was the single best thing ever. The anticipation, the curiosity and the delight when we got some new awesome role or some really good building. Please if its in any way possible include such a feature in a future game, everything was really good, but opening thoses chests was special somehow and we havent had something like that in any of the games we played so far. Thanks for the report, Rupert! I’m glad you had a fun experience with Charterstone, and it’s one of those games where I think it’s great if you modify it in a way that is unique and special to your copy, even if it goes against the rules. I LOVE IT! I might of lost the first game, but I think that just makes me love it more. Thanks for producing an absolute gem! just found out that in my green chest I have three workers and no VP counter can I get a VP counter? You could just use the third worker as the VP counter, but if it’s important to you, you can fill out the replacement parts form as noted on Page 1 of the Chronicle. Will it be possible to get hold of a second board for a third new campaign? Paul: My plan is to offer them in our upcoming February 1 e-newsletter. Great news! How do I get the newsletter? My group is three games through the campaign so far and it’s been an absolute blast. There have been some fantastic surprises already and we’re all excited to find out what else is hiding in this box. I’ve been playing Charterstone with my kids (11 and 7) and this morning we finished game 6. We’re avid gamers, and especially fans of Jamey’s games. (Viticulture is my favorite and we routinely pull Scythe off the shelf.) I’ve been really impressed with how well Charterstone builds. The tension in this morning’s game was palpable! When it ended, the 7-year-old said, “I love Charterstone!” The feeling was mutual. Thanks, Jamey, for bringing such fun into our lives! Everything in the general supply–including those cards–just go into the Scriptorium between games. So the face-up advancement and objective cards at the start of Game 2 are drawn from all those revealed during Game 1? We have never played a legacy game before. Thoroughly enjoying it so far, and wondering at what point in the campaign we will reveal a ‘rule 1’ sticker! All of the advancement cards in the general supply (deck, mat, and discard pile) just form one cohesive deck, and at the beginning of each game you’ll shuffle it and reveal cards on the mat. After Game 1, you may not have many cards in that deck, but it will soon be quite full (especially since you’ll need to discard cards from your personal supply after Game 2). Hi Jamey! This looks awesome! I have a question: If the campaign was played with 1 or 2 players, would the end result be just as easily (and fun-ly) playable with 6 players? How does the player count of the campaign affect the final re-playable game? Ben: Yep, the end result is just as playable no matter how many players were in the campaign. Either way, you’ll end up with a fully constructed village. Hy Jamey, i am a big fan of your work. I love your games and i also love the way you created your company. For me it is a fantastic example how to use upcoming technologies and trend like kickstarter. However, on my end of the world it takes a wile to get your games, but now i have received Charterstone and i have played my first round (so i am not through the whole campaign). I am a gamer and a collector, this means normally i try to keep my games in a prestine contition as long as possible, this means i use card sleeves and all avalable protectors for my games ( and yes, sleeves make my games much more expensive, but i know the benefit of having card sleeves). Here is my question: We did you decide to make Cahrterstone a Legacy game? What is the benefit for a gamer? When i play more games, will the place where i stick the sticker have any effect on the game? If not, why didn’t you print the buildings on the board (sticking stickers is always a risk in my opinion because some player don’t handle the stickers carefully). I can see the benefit of seeing the village growing, but wasn’t it possible to use cardboard tiles? 1. Charterstone is a legacy village building that you build your own city based on how you and/or your friends play it. Once the 12 campaign is done, you can either: play a new campaign on the other side or the other board by buying the recharge and/or play the one you’ve built as a normal worker placement game over and over again right meaning it’s unlike other legacy games that there are instances that a component gets destroyed, you need to buy a whole new game right? 2. if I play the game as a normal worker placement game, what is the complexity of the game and play time? I have bought, played and enjoyed your Viticulture and Scythe. Not sure how this stacks up with those 2 in terms of game complexity and play time? a. How many players is the AI/automa? b. Can we play 5 players plus an AI? 2. It starts out very light, and it grows to Viticulture’s complexity and a little beyond it, just due to the sheer number of action space options you’ll have at the end. 3. a. Any number of players. You could technically play with 6 Automas and no humans. b. Yes, but I don’t recommend it. The 6th charter will grow on its own without Automa. 1. Thanks! So essentially, the campaign will be more fun and will increase in difficulty compared to the non-campaign mode? 2. Is there a separate rule sheet for the non-campaign mode? Finally i’m not sure if you’re the right person to ask but one of my friend in the play group to play will buy but given that I am AMAZED at your games specifically Scythe and Viticulture, i’m not sure it worth and sensible to buy 1 as well and play it as solo with 5 automata. 1. The campaign will increase the difficultly compared to the post-campaign game, which will be just as difficult as the final game of the campaign. 2. There is no non-campaign mode. You play through the campaign, during which you essentially build the game, and then at the end of the campaign, you can continue to play the game as you wish. I see. That’s good to hear. Many thanks for confirming my inquiries as the reason why I asked was that I heard typical legacy games are just for a limited number of plays. After that the game is unusable and you need to buy it again to play. That’s why i don’t bother to even look at the reviews and buy a copy to play. 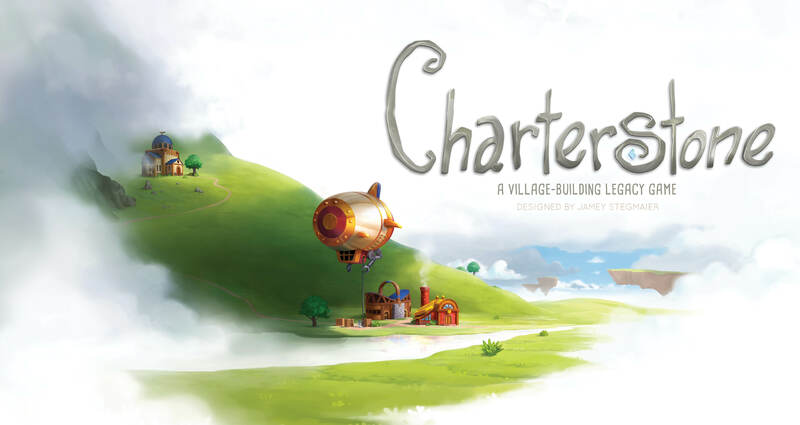 At least for Charterstone, the legacy aspect is just building your own board unique to others. Afterwhich, you get to play it unlimited number of times which is good so that you can keep it in your collection forever or you decided to sell it. Our gaming group has started a 6-person campaign and we are have a great time after three games. I have picked up a recharge pack and was hoping to start another campaign with my family before we finish the first 12 games. 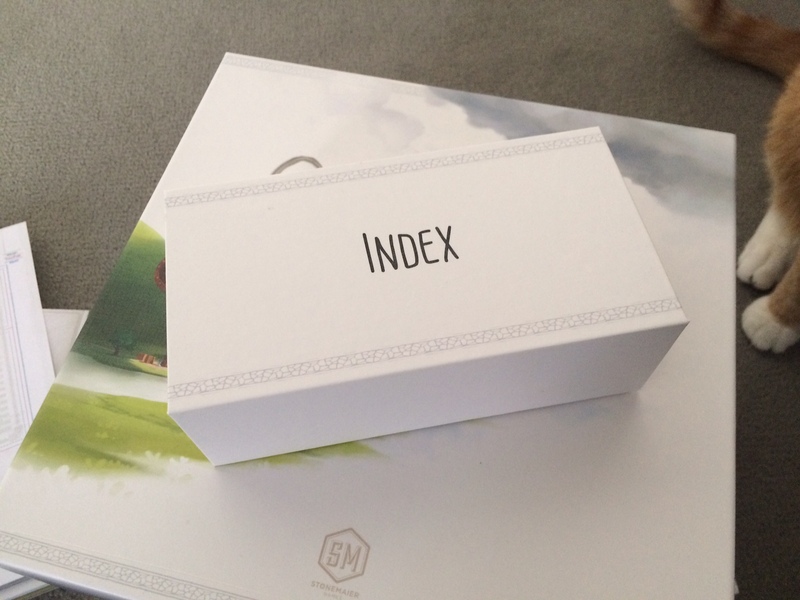 Is there anyway to get hold of the artwork for the Charter Boxes, so that I can make a second set of boxes to stow the non-shared resources between games? Thanks for the quick reply, Jamey. I was thinking of the wonderful charter icons and other decorations. However, I think I can cobble up six generic white card boxes and place the stickers on those for the case of overlapping campaigns. BTW, just finished Game 3 last night and the game certainly ramped up in complexity. We’re loving it. My wife and I have played through the Charterstone campaign and are continuing to play it after all of the legacy aspects are over. We’re now up to 28 plays. 1. The overall feel and look of the game. The Charterstone universe is one that we love playing in. 2. The minions are fantastic! They allow the player to adapt their tactics on the fly. E.g. If you get a private objective that requires 3 tokens on the influence track then get a ghost and use it a few times. Objective done. 3. The replayability. One of my criticisms of Pandemic Legacy was that once I’d finished that was it. It’s great that we can continue playing Charterstone and I actually think the final game is stronger than the legacy part. It moves really quickly and there is loads of variability due to the charter used, the sky islands and personas. The legacy part was fun and it’s always a treat to unlock some new content but I love the pace of the final game. 4. The Recharge Pack. This is inspired. We’re currently playing through our 2nd campaign with another couple and again, we’re all loving it. At the end we’ll have two different boards we can play on. Inspired. 5. The muliple paths to victory. The other day my wife primarily used a strategy of converting a minion to coins and then the coins to points. I went for getting loads of advancement cards, treasures in particular. We ended up with only two points between us at the end of the game. And that’s only two strategies, there are so many more, each charter and sky island combination suggests different strategies. 6. The Automa. We played the original campaign with 2 Automa and we’ve never looked back. We always use the Automa because they throw in a little randomness to simulate other oppenents and move the time clock along. It’s surprising how many times the Automa characters develop a personalilty throughout the game. Okay, to balance this I have one main gripe. At the end of the legacy campaign some of the buildings aren’t as useful to have in a charter as others. E.g. the buildings that involve constructed and unconstructed building cards. We found that we had to carefully remove or cover up some of the stickers to get a board that was going to work. We made sure that each charter had a way of getting a minion, one way of getting income and a building where panic cubes could be spent. I’m not sure what you could do about this issue, possibly having some guidance during the legacy part may help. It’s not a major thing though as we only had to do a bit of tinkering to sort out our board. So overall we both love this game and if you do decide to do another legacy game that I hope you include the endless replayability and recharge pack again. By the way we’re both really looking forward to the Scythe expansion this year. Can’t wait! what do you do when you’ve played it 2x and used both sides of the board. is it over? can u buy another board? You can keep playing either side after you finish the campaign, or you can buy another board from us. We played our 6th game last night, we`re loving it. Well, my husband was the unlucky one (3 out of the 4 of us had 26 stars, so the charterstone chose him). We did have some trouble finding out how to enter our score, because in the Dutch version the link just goes to the retailer’s website. With the help of the card list link from the FAQ we were ok. Maybe that’s something to put in the Dutch errata? Mirjam: Thank you for letting me know! I will add this to the Dutch errata. 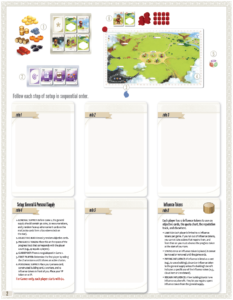 Just finished game 6 and like the comment back in august 2018, the link https://stonemaiergames.com/games/charterstone/map/ does not allow for score entry. Can you please post average scores for a 4 player game? I’m sorry about that! We have a redirect issue. I’ll send you the link. This game is a blast. My wife and I played through all 12 sessions over the course of 3 months and it was a real adventure. That we never knew what to expect for each game session is what made creating strategy difficult and caused you to consider a lot of decisions since you never knew if it would come back to haunt you. I look forward to purchasing a refill pack and getting more players involved to see how much more the game develops and changes with additional personal choices. I received this game for my birthday from my wife about a month ago. I have been super excited to play it. We opened it up last night to play and found out we couldn’t play the game at all. Why? Because every single card had been printed backwards!!! All of the sticker side portions of the cards had been printed on the permanent card back, while the card back picture was on the sticker portion. This means we couldn’t even progress past the first step in the game. Needless to say, I was extremely disappointed. I have filled out a game parts request. I sincerely hope Stonemaier Games can make it right. I enjoy your products (I own Scythe as well) and I REALLY wanted to play Charterstone. Eric: I’m sorry about this extremely rare printing anomaly. I hope you decide to fill out our replacement parts form to request the sticker cards so we can fix this for you. Thanks for your quick reply Jamey. I have filled out a parts request form. I am looking forward to receiving the new cards. I’m just bummed that I will have to wait longer now to play Charterstone. I looked at the form, on which you asked for “the entire set of cards,” but that’s impossible. Only half of the cards in Charterstone are sticker cards. Please look closely at your cards and let me know the card numbers 1-X) that are printed the wrong way. It should be very clear where the sticker cards stop and the regular cards begin. Thank you for the clarification. I have looked through the cards and it appears that only cards 1 – 40 are misprints. All of the other sticker cards appear to be fine. I did a quick spot check through each of the other sections of cards and the stickers peeled off correctly. Thanks! I’ll update the form, and we’ll get them to you ASAP. The replacement cards arrived today. I took a look at them and they are printed correctly. Thank you for getting those out to me so quickly! Also, thanks for replying to me personally on a Saturday. I wasn’t expecting so fast of a response. Truly a testament to how important your business is to you and how much you value your customers and the gaming community at large. Once again, thank you! Now I have to round up the posse so we can get started playing! Thanks Eric! I’m sorry they weren’t correct in the first place. Bought this gem after it came out in stores. Me and my family absolutely love this game and have bought a lot of refill packs. I read somewhere that you might be making a digital adaptation for PC. I really hope this is true. I do a lot of traveling for work and I would love to play with my kids online when I’m away. Can you confirm this? Awesome. I look forward to getting it.